Solomon Asch was a pioneering social psychologist who is perhaps best remembered for his research on the psychology of conformity. Asch took a Gestalt approach to the study of social behavior, suggesting that social acts needed to be viewed in terms of their setting. His famous conformity experiment demonstrated that people would change their response due to social pressure in order to conform to the rest of the group. In a 2002 review of some of the most eminent psychologists of the twentieth century, Asch was ranked as the 41st most-frequently cited psychologist. Solomon Eliot Asch was born September 14, 1907, in Warsaw, Poland. He died February 20, 1996, in Haverford, Pennsylvania at the age of 88. Solomon Asch was born in Warsaw but emigrated to the United States in 1920 at the age of 13. His family lived in the Lower East Side of Manhattan and he learned English by reading the works of Charles Dickens. Asch attended the College of the City of New York and graduated with his bachelor's degree in 1928. He then went to Columbia University, where he was mentored by Max Wertheimer and earned his master's degree in 1930 and his Ph.D. in 1932. During the early years of World War II when Hitler was at the height of power, Solomon Asch began studying the impact of propaganda and indoctrination while he was a professor at Brooklyn College's psychology department. He also served as a professor for 19 years at Swarthmore College, where he worked with renowned Gestalt psychologist Wolfgang Köhler. It was during the 1950s, Asch became famous for his series of experiments (known as the Asch conformity experiments) that demonstrated the effects of social pressure on conformity. Just how far would people go to conform to others in a group? Asch's research demonstrated that participants were surprisingly likely to conform to a group, even when they personally believed that the group was incorrect. From 1966 to 1972, Asch held the title of director and distinguished professor of psychology at the Institute for Cognitive Studies at Rutgers University. Solomon Asch is considered a pioneer of social psychology and Gestalt psychology. His conformity experiments demonstrated the power of social influence and still serve as a source of inspiration for social psychology researchers today. 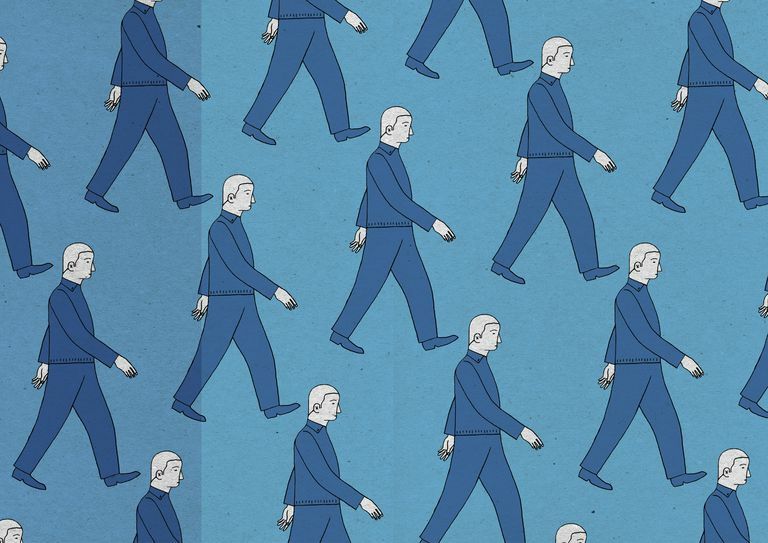 Understanding why people conform and under what circumstances they will go against their own convictions to fit in with the crowd not only helps psychologists understand when conformity is likely to occur but also what can be done to prevent it. Asch also supervised Stanley Milgram's Ph.D. at Harvard University and inspired Milgram's own highly influential research on obedience. Milgram's work helped demonstrate how far people would go to obey an order from an authority figure. While Asch's work illustrated how peer pressure influences social behavior (often in negative ways), Asch still believed that people tended to behave decently towards each other. The power of situations and group pressure, however, could often lead to less than ideal behavior and decision-making. Asch, S. E. (1951). Effects of group pressure upon the modification and distortion of judgment. In H. Guetzkow (ed.) Groups, leadership, and men. Pittsburgh, PA: Carnegie Press. Rock, Irvin, ed The Legacy of Solomon Asch: Essays in Cognition and Social Psychology. Hillsdale, New Jersey: Lawrence Erlbaum Associates. ISBN 0805804404; 1990. Stout, D. Solomon Asch Is Dead at 88; A Leading Social Psychologist. The New York Times; 1996.